AC Plus – Systems Created Ltd, The Old Chapel, Whitehorse Road, East Bergholt, Colchester, CO7 6TU. from sales and stock control, to EPOS solutions, CRM or specialist database systems. take orders, stock enquiries, facilitate a diary system and more - all whilst on the move. Enterprise manages Order Processing, Inventory, Customers and Accounting and integrates with your website. Fully featured business management software - CRM (Customer Relationship Management) at its heart with sales orders, stock control and purchase orders within a reliable SQL Database - providing a wide range of financial reports. Designed to seamlessly integrate with all of our software including SOPS, POPS, Accounts and Stock. Our ACPay payroll software is a capable payroll solution, dealing with pensions, RTI and full financials - a reliable, tried and tested piece of software in use by many of our customers ensures that you will be receiving an impressive and fully capable product. The Mobile companion app for our Enterprise solution carries forward many of the existing features onto an easy to use mobile platform including features such as sales orders, order templates, customer sales dashboard, stock enquiries, jobs and more - all whilst on the move. Our EPOS software is now in it's third generation and features integrated card payments, wired and wireless barcode scanning, thermal and direct printing, customer display terminal and customer orders - with specialised versions available for Hospitality, Garden Centres, Hardware and General retail. We have a 25 year history of providing feature-perfect software development on time and on budget, as a company we have proved ourselves as reliable and capable time and time again. When you choose us you know that we are a company you can depend on, it's what we do every day of the week. We pride ourselves on our flexibility and have provided a number of different integrated solutions to allow you freedom of choice when using our software. Examples include integration with e-commerce solutions such as Magento, WooCommerce and Zencart with our bespoke stock and accounts system. 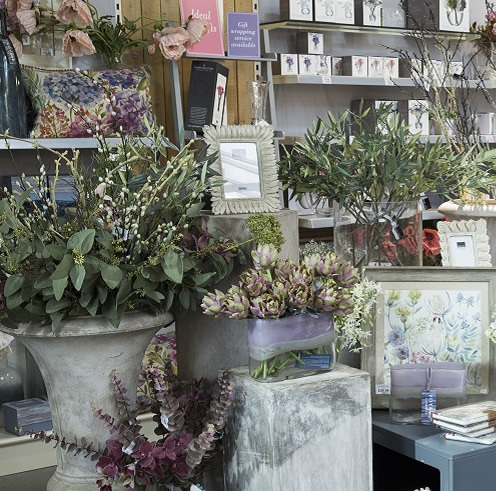 Perrywood Garden Centre run ACPlus Epos and enterprise back office systems to control their inventory and sales. With real time inventory management, pricing and customer orders all tied into Card payment processing. Consolidated EOD and other features. Coupled with our ability to customise or develop software for your prices requirements - ask for a demonstration.